How the music production giants became video leaders in the industry with content that not only generates buzz, but also captures leads. Music and video have gone hand-in-hand since the first music videos started hitting the airwaves in the early ‘80s. But just as they’ve come a long way from the days of garish lighting and grainy images, so has the music industry’s use of video to connect with enthusiasts and consumers alike. For Pyramind, a San Francisco-based music production school and studio, video is more than an outreach and awareness tool: It’s actively driving potential students and customers their way. With a robust video output, Pyramind is setting the standard in the industry for content that perfectly marries the visual and aural mediums, creating an immersive user experience that translates into better product awareness, and ultimately more leads. Even though Pyramind has had a presence on YouTube for nearly a decade, it wasn’t until 2015 that they started to take video more seriously as a marketing tool, at the prompting of their Director of Marketing, Jeff Straw, and Andrew Scanlan, Pyramind’s Content Marketing Manager. After purchasing professional camera and lighting equipment, the company began to explore how video — particularly putting faces to their brand — could play a bigger role in their marketing strategy. According to Andrew, the bread and butter of Pyramind’s video output is educational, entertaining content. “With each video, we want to give our audience value rather than making the focus about ourselves, what we do, or how great we are,” he said. That might be the reason why Andrew, who heads up much of Pyramind’s video production along with an in-house editor, prefers not to take a scripted approach most of the time. Instead, the bulk of their content is focused on tutorial videos, 1–1 teaching sessions, and online courses that live on their learning network. Although they continue to utilize their YouTube channel for certain types of videos, Pyramind relies on Wistia for two major parts of its marketing strategy: brand awareness and lead collection. Take a quick glance at Pyramind’s website, and you’ll see Wistia video players sprinkled throughout it, featuring content that’s become easily identifiable as Pyramind’s brand and style. That’s purposeful, according to Jeff. For the online learning component of its business, Pyramind prioritizes showing who they are as people, especially in an industry that requires so much person-to-person interaction. “We want people to watch our videos and say, ‘They’re thought leaders in their space, yes, but also cool people I’d want to spend time and hang out with,’” Jeff said. A huge standout for Pyramind from a brand awareness perspective has been their DJ 101 course, which also happens to include their most-viewed video on YouTube. It’s a free course, but thanks to Turnstile, they’re able to generate leads from it. 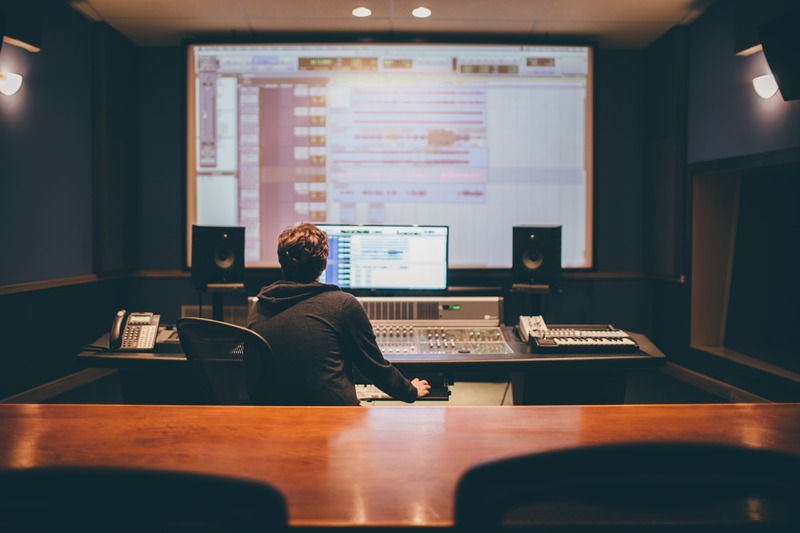 In the future, Jeff and Andrew are looking to bring this free-course model to other elements of music production as a low-risk way to create buzz and introduce prospects to Pyramind. It’s one thing to host videos on your site to create a sleek, customized design that makes your brand stand out. But when you can offer your viewers something of added value while they watch and capture their email addresses at the same time? Then you’re really showing your video prowess. Another way Pyramind generates leads is by hosting Elite Sessions, monthly in-person events with a high-profile producer or music software manufacturer. Since space is limited at their San Francisco lab, they film the events, then post them in their entirety on their blog to help grow their brand worldwide and collect new contacts. Usually running 2–3 hours long, the Elite Sessions videos are lengthy. So short teasers are cut for YouTube that link back to the full Wistia-hosted video, ensuring that Pyramind gets the benefit of added traffic to their website. And thanks to Chapters, the lengthy videos are easy to navigate and watch. According to Jeff, the Wistia-HubSpot integration is a must for him and his team. At the broadest level, here’s how the integration works for Pyramind: When someone enters their email address in Turnstile to view a video, an email workflow gets triggered and that person automatically gets put into one of Pyramind’s email campaigns. It’s just one reason why Jeff counts himself as a Wistia fanatic. “Generating YouTube subscribers is important for us, but it’s different from having an email address in our system that we can retarget via email marketing,” he said. Another example of how Pyramind is using the integration and seeing success: Recently, Jeff set up automated funnels for a new online music workshop. From there, he created lists in HubSpot based on who watched the video, then used that information to make lookalike audiences on Facebook to target viewers who would be likely to watch and engage with similar content. So how does video factor into the future of Pyramind? “Looking ahead, continuing to use video and email capture together is going to be a significant part of our marketing strategy,” Andrew said. Even as the music industry changes and evolves, Pyramind believes video will keep informing their marketing strategy as they continue to create new music, promote trendy events, and educate a global audience. Video may have killed the radio star, but it certainly has a long way to go before its ongoing impact on the marketing world starts to fade. Find Pyramind online and on Twitter.